Recycling has had to become part of our everyday lives. It’s one the easiest ways we can reduce our impact on the environment and few people would dispute that it’s ‘the right thing to do’. However there are still a lot of people who see recycling as an inconvenience and too much effort and unless waste clearance companies make it as easy as possible to recycle there will continue to be far too much going into landfill. One of the ways that some waste clearance companies are now making it easier for their customers to recycle is by using segregated bin bags to differentiate between the different types of waste. 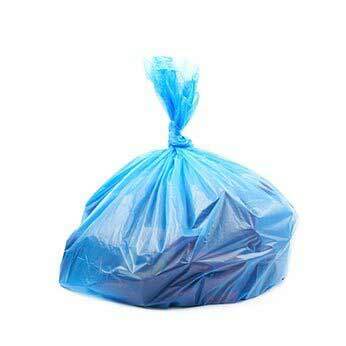 Colour coding is the clearest and most obvious way to distinguish the different waste sacks from each other. Aside from making it easier for customers to separate the different types of waste for recycling it also has advantages for the waste company. When bags reach the recycling complex it is immediately clear what type of recyclable materials is inside the bag so it can be dealt with much more efficiently and with less sorting involved. The most common three categories waste management companies have consumers separate their waste into is food waste, recyclable waste materials and general waste. By choosing coloured bags that customers automatically associate with these categories there is a higher probability that waste will be separated appropriately, e.g. brown for food waste, red or green for recyclable materials and black for general waste. Apart from reducing the need for additional sorting later on, it also reduces the likelihood that recyclable waste materials will be contaminated by food waste or other liquids or gels that are general waste. Printing also helps with kerbside waste collection. In addition to colour coding, waste sacks can be printed to show what type of waste should be put in them. This then also makes identifying the contents easier when waste is collected and recycled. Bags can also be clear or tinted with colour and then printed so that contents are immediately visible and for confidential materials opaque coloured and printed bags can be used. Printing the waste collection company’s branding onto the bags will also make collection easier by making the bags put out by their clients stand out from others left on the pavement. Abbey Polythene knows how important recycling and waste separation is and understands the requirements of the industry, so we do everything we can to make it easy for waste collection companies to in turn make it easy for their customers. As well as offering a variety of different coloured bags, we also offer them in both clear and tinted varieties and can custom print them to a particular waste collection company’s requirements. Our bags come in a wide range of sizes, thickness and films to meet the specific needs of each of our customers. Give us a call now to find out how we can help you with your waste segregation needs.